Hi 7th grade Scientists! 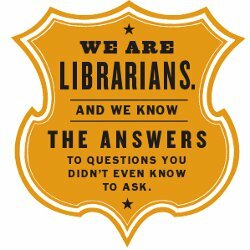 Let’s use Cobb Digital Library to locate the BEST, most timely and relevant information on how organ systems interact to carry out life functions. Humans–and other complex multicellular organisms–have systems of organs that work together carrying out processes that keep us alive. Here’s how to get started using Cobb Digital Library to learn all about human body systems. *All of the above resources feature content on Human Body Systems. Use the Citation Tool features in Kid InfoBits and Research in Context. In NetTrekker use the Copy for Citation feature. 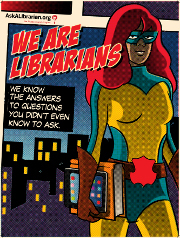 DK Findout and BrainPOP resources should be cited using www.citationmachine.net. Choose MLA format and follow the prompts. Cobb Digital Library (CDL) Access: On-campus computers, offer a shortcut on the desktop. From home, the link to CDL is available via both the Cobb County and Durham websites as well as through the Durham Media Center blog. Students will be prompted to use their Office 365 username which follows this pattern: firstname.lastname@students.cobbk12.org. They will then use their individualized school computer password. Using your device, go to the following link to share your perspective. You’ll need to get the password from Mrs. Baker in order to access it. STUDENTS: Use the Anchor Chart: Asking Questions as you research the disease of your choosing. Be sure to use Britannica School Middle in Cobb Digital Library to gather your notes. 5. 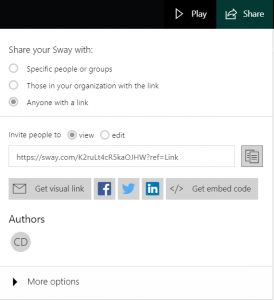 Open the Sway Submission Form for your class, and follow the example to post your Sway. Shout out to Mrs. Forester’s 6th Grade Math Kiddos! How awesome that you get to research in math class! I’m here with some resources to help you get started. There is math in pretty much every job. As a middle school media specialist, I use math every day. (Swing by if you’d like to know some of the ways I use math in my job.) 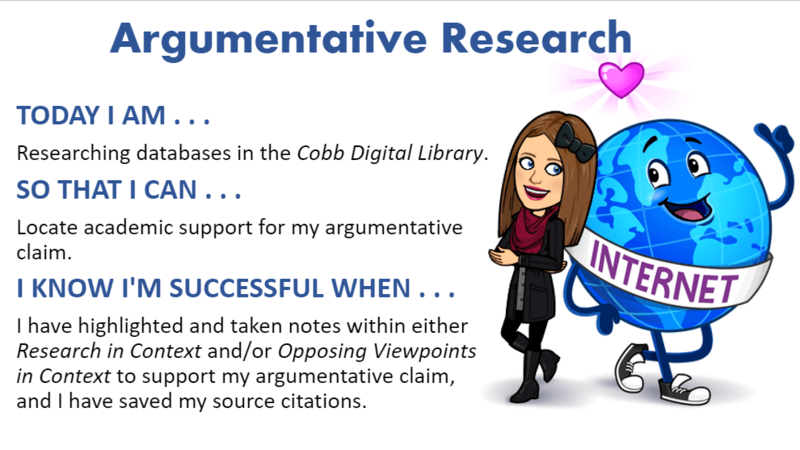 Until then, here’s a brief video sharing a couple of databases within Cobb Digital Library that will help you find credible and relevant resources to support your research. Also, I’ve pulled together a collection of books from the media center that may get you thinking about jobs you haven’t considered before. 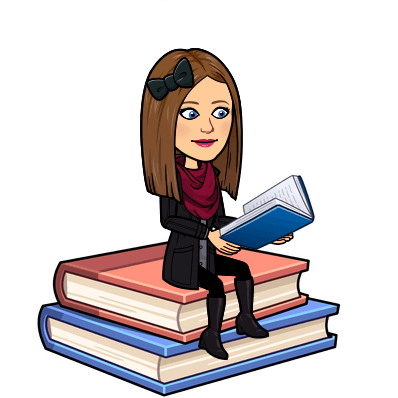 Mrs. Forester will have these books checked out for awhile, but if you would like to see the digital file of books, go to Destiny, click in the upper left-hand side of the screen, select Collections and then Math Careers. I’m super excited to see what all you learn! Be sure to swing by the media center if you need more help. Hey 7th grade Art Students! Mrs. Baker is here to help you use technology to share your art with others. YAHOO! How exciting! This project will even offer the opportunity for you to showcase your art at an off campus art Show in January. We are using Cobb Digital Library to research diseases and to locate images of healthy versus diseased cells. We will also use Microsoft Office 365 to create informational presentations of diseases as well as images of our watercolor cell representations. Are you excited yet? Well, if not, you will be soon. There are lots and lots of Sway How-to Videos on YouTube. Although they are unavailable via student logins while on campus, they will serve as helpful tools when you are on your own. With parent permission, you may choose to utilize them to help you Sway. That’s what Mrs. Baker does when she needs help. Now that all of your hard work is complete, it’s time to submit your work for review. Open the link below. Type your name and class period into the provided spaces, and then copy and paste your Sway link into the space following your name and class period. Mrs. Baker will be guiding you through the steps on Wednesday, 12/20. 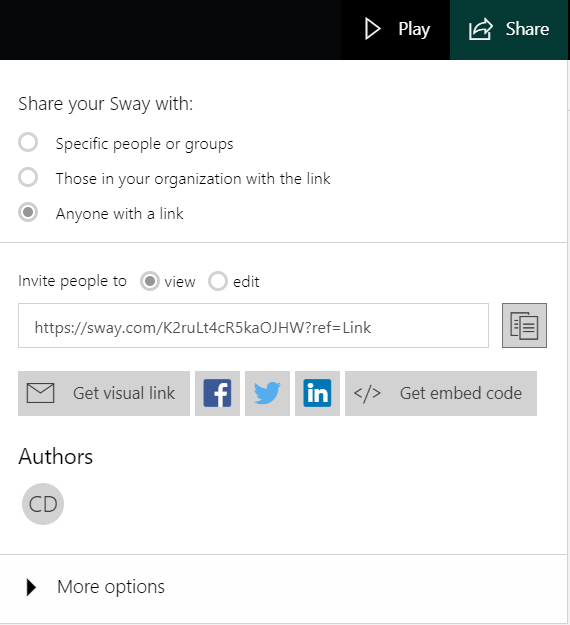 SUBMIT YOUR SWAY LINK HERE! Hey 6th grade Social Studies students!Put your thinking caps on because it’s time to think critically. You are invited along a Propaganda Museum Walk in the Digital Age Classroom where you will find groupings of World War II Propaganda borrowed from Cobb Digital Library’s Britannica Image Quest. Evaluate the examples identifying the tone and the representative of the subjects. Utilizing your understandings from the DBQ process, determine what the documents say, what they mean, and why they matter. Utilize your group members to facilitate discussion and evaluation of the primary source documents provided. The above linked document should be utilized along your museum walk. The above allows access to the shared folder on Microsoft Office 365 and includes the primary source documents utilized via the Propaganda Museum Walk. Sixth grade Social Studies students in Mrs. Bitler’s, Mrs. Wishon’s, and Mrs. Clements’ classes participated in a Propaganda Museum Walk led by Media Specialist, Mrs. Baker in the Digital Aged Classroom. Students began with an introduction to propaganda where five popular propaganda techniques were highlighted. Then student groups had the opportunity to visit four different stations featuring selections of propaganda arranged by type. 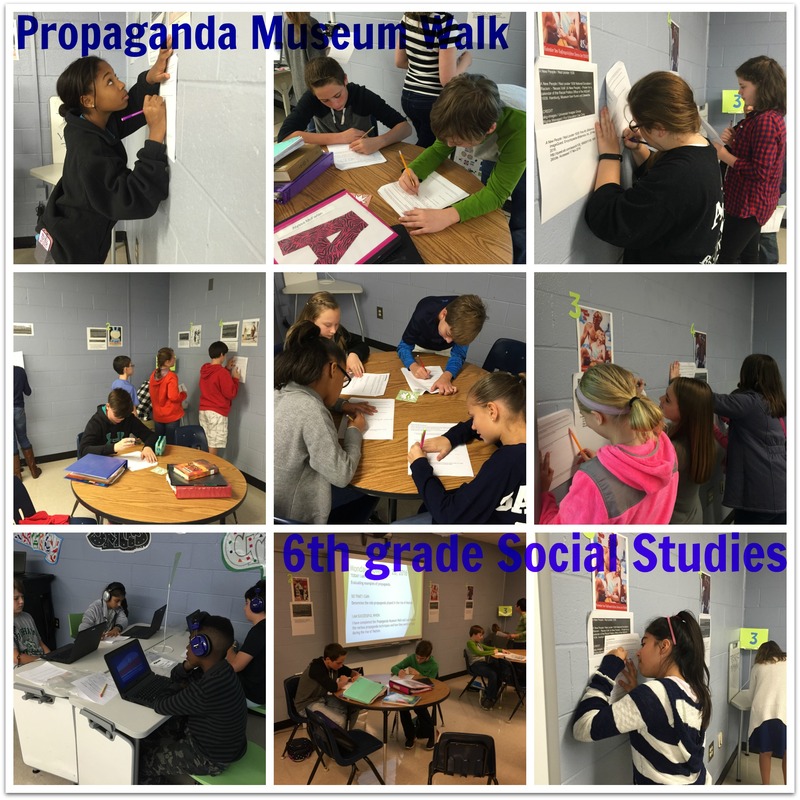 Within each station students analyzed pieces of propaganda using Mrs. Baker’s Propaganda Museum Walk Guide. They utilized fellow group members to help them evaluate and analyze the posters. This was a day of deep critical thinking for these sixth graders, and they rose to the challenge. Watch the video segment independently and complete the writing prompts on your guide. After each student has responded to the prompts on his/her own, discuss responses as a group and add additional insights to your notes. STATIONS 2, 3, & 4 are on display in the Digital Aged Classroom. Welcome to Mrs. Slades’ 1st and 7th Periods! It’s my favorite day of the year . . . Halloween! 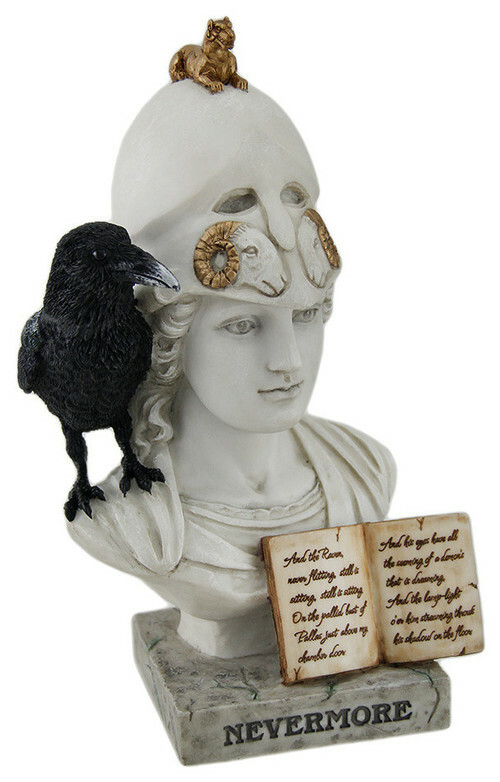 There is no more perfect time to study Edgar Allan Poe’s “The Raven.” To add to the spooky atmosphere, let’s watch this visual recitation of “The Raven” read by Christopher Lee and utilize my Raven Reading Guide to make certain we do not miss a single spooky detail. After we analyze the poem, let’s talk about what determines the tone and mood of the work. 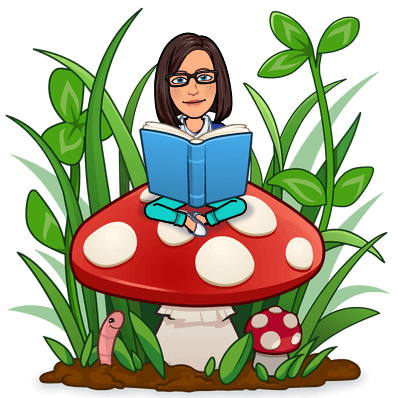 To better understand Mood and Tone we will be utilizing several different resources including BrainPOP’s movie on Mood and Tone and this Mood vs. Tone graphic organizer. ESSENTIAL QUESTION: In poetry, how is mood and tone established? Welcome Back to Mr. Vedra’s 7th period Social Studies Students! Today we are continuing on our path to understanding the basics of Islam, Christianity, and Judaism. You will be paired up as you visit 3 stations. In each station utilize the printed and digital resources available to learn more about each religion. Read Susan Douglass’ article “What is Islam?” from Kids InfoBits in Cobb Digital Library, and complete the What is Islam? Guiding Questions. View the Birthplace of Three Religions using the Christianity Cloze Notes as a guide for extracting the most important information. Finally complete the Christianity Exit Ticket (see Mrs. Baker or Mr. Vedra for this) before leaving. Watch Judaism 101: Religions in Global History* from Hip Hughes History and complete the accompanying Video Guide. *This video is linked from YouTube and student access is limited while on campus. Mrs. Baker will assist with on campus access.